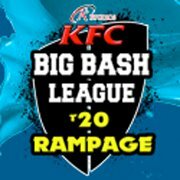 So A² Studios' KFC Big Bash League Patch- "T20 Rampage" is finally here. The Patch contains Big Bash League + IPL 4 Stuffs such as, kits, stadiums, squads, logos, pitchad, stumps, overlays, faces & much much more..We hope that you'll enjoy this patch to the fullest. After downloading the Patch, read out the Instuctions below. Install this Batpack into your EA Sports Cricket 2007 Root folder. Download & Install "ZaxWillowz™,The Ultimate 256 Batpack". 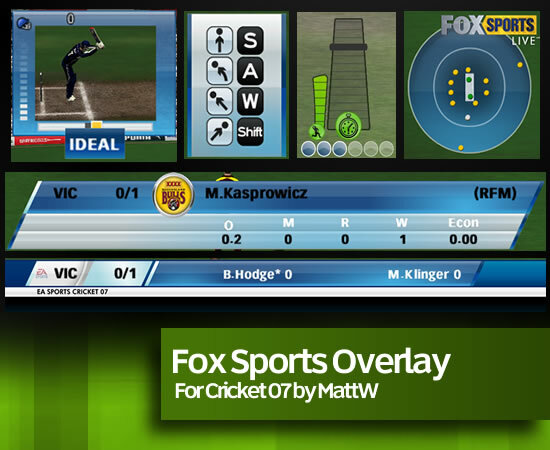 Can be downloaded here ZaxWillowz256-Unpacker.exe to your EA SPORTS CRICKET 2007's Root Directory. 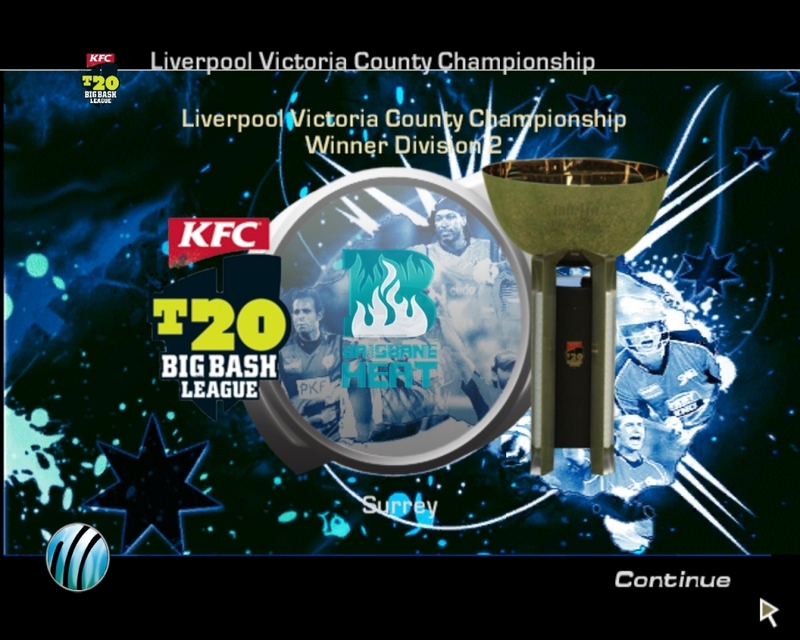 Extract the downloaded Patch Files named "A² Studios' KFC Big Bash League Patch.RAR" to any Directoy of your choice. Run "BBL-SETUP.EXE" and install the patch in your EA SPORTS CRICKET 2007's Root Directory. Copy "IPL-BBL.ros" Folder & Paste in "EA SPORTS(TM) Cricket 07" folder located in My Documents. In game, Load the "IPL-BBL.ros" first, & start playing Realistic BBL Patch. If you're done playing BBL Patch, & want to switch to IPL tournament just run "IPL-SETUP.EXE" & install it into your EA SPORTS CRICKET 2007's Root Directory. If You want to play BBL again just Install "BBL-SETUP.EXE" again. HOW TO PLAY BBL TOURNAMENT? Select the team of your choice. And start enjoying Big Bash League Patch! HOW TO PLAY IPL TOURNAMENT? And start enjoying IPL Patch! i'm waiting eagerly pls. upload a complete trailer of ipl5 patch... to give us a hint... hats off 2 a2studios truly best in business..
@A2 studio mods....hey team..but u said that u will release the patch on july 5?? where is the ROSTER and FIXTURES ??????????????????? i downloaded the batpack...but the patches are not there...what to do>? @vibhav Follow all steps and download everything it says. 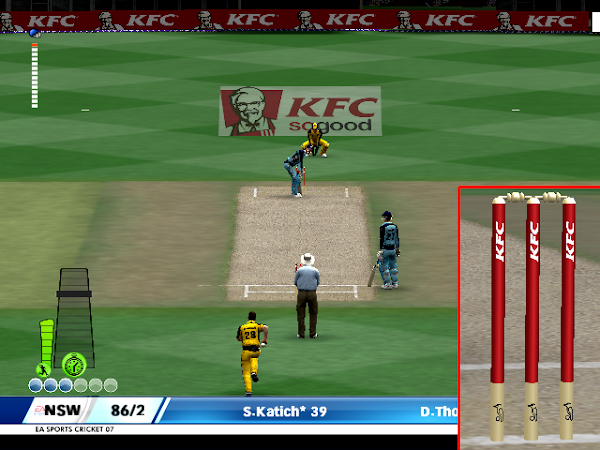 Launch the Cricket 2007 by double clicking on red ball icon, the game will start, then go to My Cricket > Load/Save > Load roster > IPL-BBL.ROS. bro , i go there and there r two options 1. load and 2.save . in load options , after clicking to the roster sections nothing happened , but in save options , roster section after selecting this , do i have to type the roster name ???? we cant download even a single file. Please upload a torrent file for every patch, you will get the maximum download then..
IPL-6 and this BBL-IPL-4's download links are not working. A2 Studios The Best in Business! Have you tried hotspot shield before opening links?